The investigation of the internal workings of interest groups opens the view on the behavioural dynamics within these organisations. 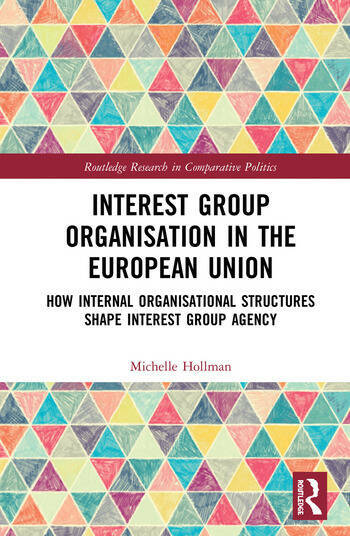 By analysing their intraorganisational structures, this book explains how groups prepare to become active in the European Union and why we observe contact, conflict and cooperation of interest groups and other political actors in the European arena. The book presents four causal mechanisms which explain, on the one hand, why interest groups engage with contacts across a diverse set of political actors and, on the other hand, why some interest organisations are more actionable at the European level than others. It furthermore elaborates a typology of interest groups along intraorganisational criteria. The analysis of twelve differing case studies provides a rich empirical ground to explain how and why certain intraorganisational processes unfold within interest groups. It thereby sheds light on the behavioural organisational patterns which drive interest group agency in European multi-level politics. This book will be of key interest to students and scholars of interest groups, lobbying, European Union politics and more broadly to public policy/administration and comparative politics. 2. To Have or not to Have a European Affairs Department? 3. To Include or not to Include Members in Decision-Making? Michelle Hollman is a researcher at the Bremen International Graduate School of Social Sciences of the University of Bremen, Germany.